Are you feeling just a little ‘brow-beaten’ at the moment? 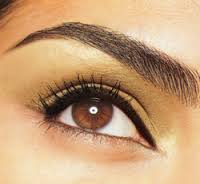 Our good friends over at Henpicked reckon good eyebrows are the one of the secrets to a younger-looking face without the need for surgery and we have to agree. If you want to transform your face, appear younger, more expressive and less drawn or tired, head on over to their website and check out what they have to say about some of the options.